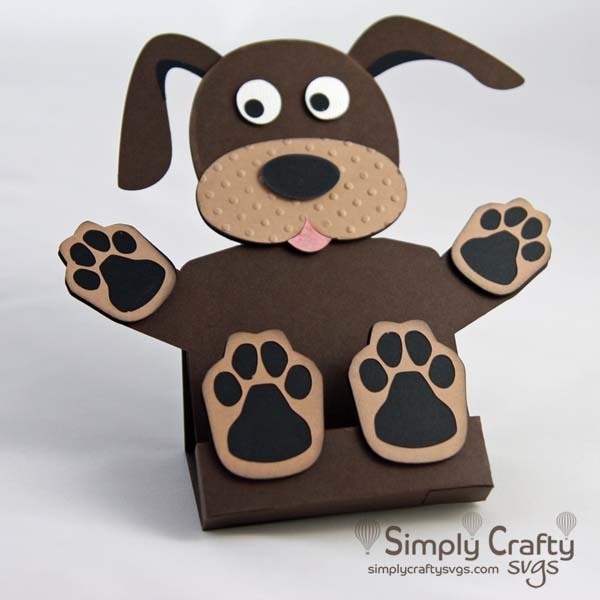 Make this cute sticky note holder for the dog lover using our Dog Sticky Notepad Holder SVG File. 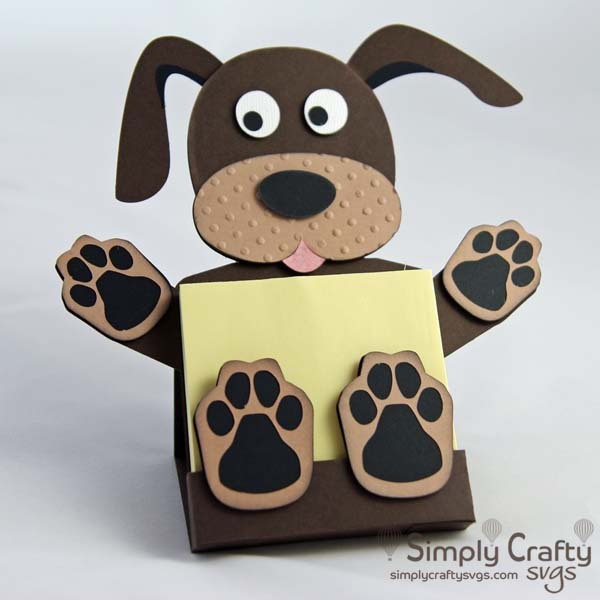 It holds a standard 3″ x 3″ square sticky notepad or Post-It notepad. Great desk gift for your friends, family or co-worker. As with all SVG files, written instructions are included. 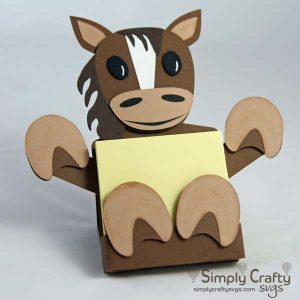 Also available is the the video assembly for the Horse Sticky Notepad Holder showing the basic assembly of the holder. The only difference is type of animal. Click here to view. Add a few embellishments on the front, under the paws. Personalize with a pet name. Modify file with your favorite software to personalize using another dog face image. This is a digital file, not a physical product. Upon checkout, you will be granted access to download the SVG file in ZIP format. See included PDF file for SVG file and assembly instructions. Video assembly is also available. File includes SVGs with solid scorelines for compatible die cutting machines (i.e. Cricut Explore series and Sizzix eClip2).